Block 7 1/2" by 7 1/2" (19x19 cm), borders excluded. This is a basic block like shown above. 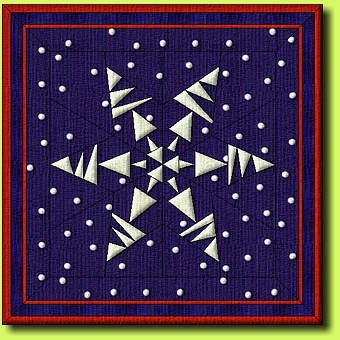 You may alter it in several ways and create a set of three for a table runner or wall hanging.